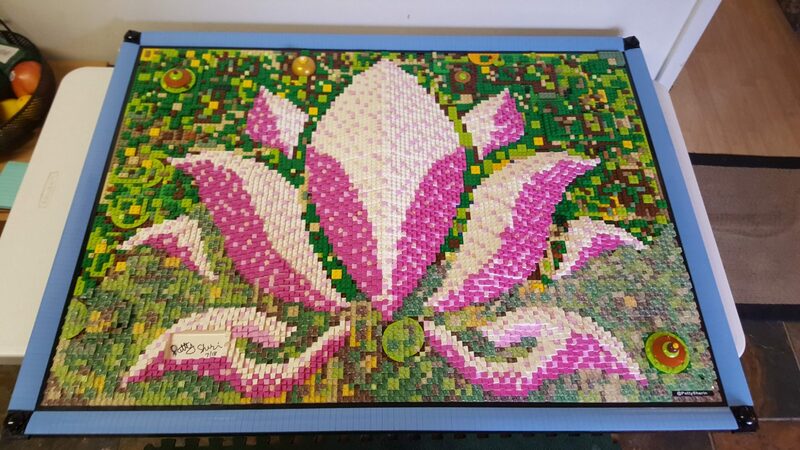 This piece contains over 15,000 LEGO elements with over 70 hours of work. In Nichiren Diashonin Buddhism, the lotus flower is used to symbolize cause and effect because it blooms and seeds at the same time. The idea is the actions you take today will determine your tomorrow or the actions you took yesterday or days past determine your circumstances today. The lotus flower is also a metaphor for life. Lotus flowers grow and bloom in muddy water. Their stems have to go through the muck so their flowers can break through the surface and bloom into a beautiful flower. Such is our lives, only when we challenge ourselves do we grow and reveal our true authentic nature. In this piece, to create the illusion of muddy water, I used 1x1 clear slopes or cheese slopes on top of shades of green, yellow, tan and brown. 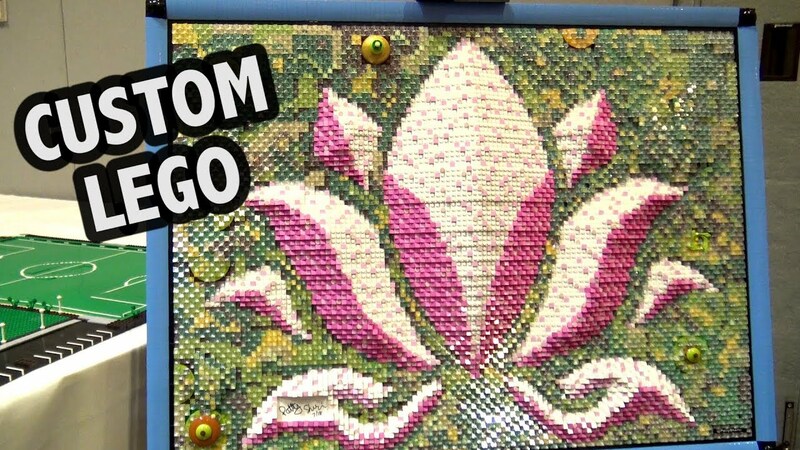 This piece has over 20,000 LEGO elements. Even the frame is made of LEGO. Questions or interested in purchasing? Please leave your details below and we will get in touch with you.